The body's immune system normally reacts to the presence of toxins, bacteria or viruses by producing a chemical reaction to fight these invaders. However, sometimes the immune system reacts to ordinarily benign substances such as food or pollen, to which it has become sensitive. This overreaction can cause symptoms from the mild (hives) to the severe (anaphylactic shock) upon subsequent exposure to the substance. 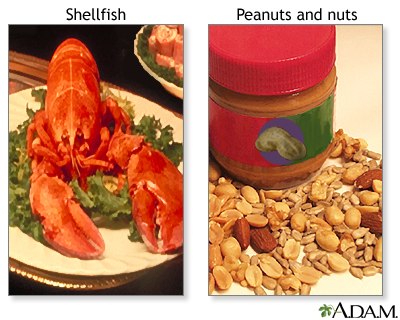 An actual food allergy, as opposed to simple intolerance due to the lack of digesting enzymes, is indicated by the production of antibodies to the food allergen, and by the release of histamines and other chemicals into the blood.